The directions seemed simple - put wires into pickle and plug in. 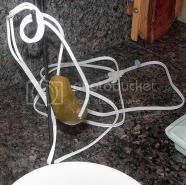 I bought a cheap extension cord, cut off one end, and inserted the bared wires into the pickle. I plugged it in, but for almost three seconds, nothing happened. Then, a thin thread of smoke issued from one end of the pickle. Suddenly, the other end of the pickle lit up. It sizzled, a lot of smoke came out of the pickle. Then that end went dark and the smoking end of the pickle lit up. It fizzled and sizzled and smoked and I started to get nervous. 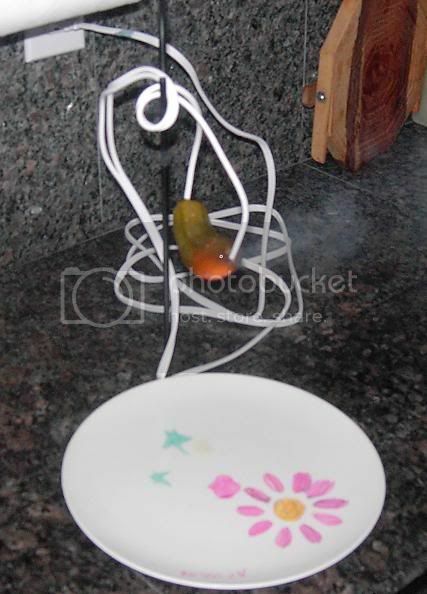 I unplugged it, but not before electropickle smoke made my entire kitchen smell like pee. I love science, even though knowledge requires sacrifice.